Simply dreamy! 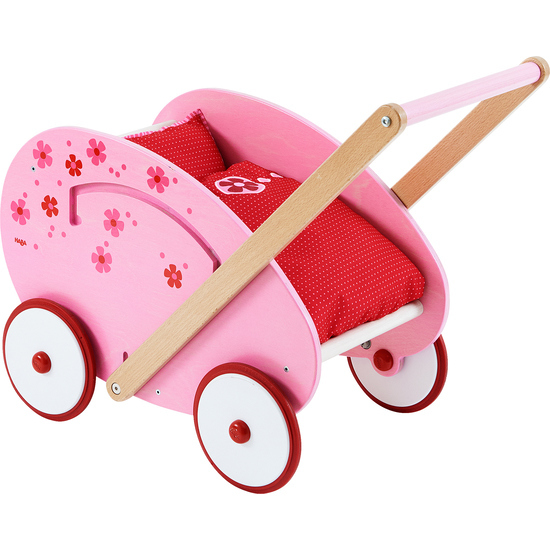 Little doll parents will love this colorful doll pram! An especially ingenious feature is the adjustable push bar that can be easily locked into two various positions. The accompanying 3-piece bedding includes mattress, pillow and blanket.